Pete Reid is an honors graduate of the University of Edinburgh School of Law. He was also selected for a one year international scholarship at the University of Texas School of Law in Austin, Texas. Following law school, Pete Reid gained extensive experience working with the Texas Legislative Council, The Scottish Parliament, as a mediator with the charity “Children in Scotland”, and in commercial litigation with the Australian law firm of Blake, Dawson and Waldron. Pete was admitted to the New York Bar in 2005 and worked exclusively in New York City until 2010 where he focused on trial work and commercial litigation, specifically, real estate litigation, contract disputes, and sports law. 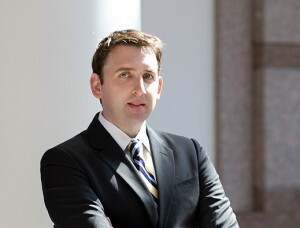 In 2010, Pete Reid returned to Austin, Texas and was admitted to the State Bar of Texas. Shortly thereafter, he established ‘Pete Reid Law, PLLC’, a law practice specializing in business litigation, real estate litigation, and sports law. Mr. Reid continues to represent clients in both New York and Austin. However, the approach of Pete Reid is not simply to “represent” his clients but rather he aims to be their warriors. Pete commits to learning everything that is uniquely important to each client, and to work creatively and tirelessly on their behalf. Mr. Reid is admitted to the New York State Bar, the United States District Court, Southern District of New York, the United States District Court, Eastern District of New York, the United States District Court, Eastern District of Texas, and the United States District Court, Western District of Texas. He is a member of the American Association for Justice, the New York State Trial Lawyers Association, the Austin Young Lawyers Association, and he was the founder and first President of the Scottish Bar Association of New York. In 2014, Pete Reid wrote and produced the first Pete Reid Law TV commercial which subsequently won the award for outstanding achievement in Internet advertising in the Web Marketing Association’s 13th annual Internet Advertising Competition. In 2016, Mr. Reid was elected Chair of the Entertainment and Sports Law Section of the Austin Bar Association. Pete Reid is currently a board member of the Austin Bar Foundation and the Austin Bar Association. Pete Reid was the recipient of the 2018 International Advisory Experts Award: Business Litigation Lawyer of the Year in Texas. Mr Reid is also an accredited mediator in Texas and an Associate Member of The Society of Writers to Her Majesty’s Signet in Scotland.